Lake Tahoe, known for its year-round activities including world-class skiing, snowboarding, hiking, mountain biking, boating and gaming, is home to Paradise Tahoe resort. 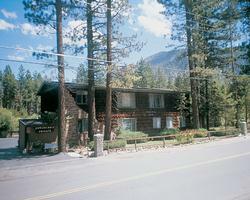 This serene boutique resort surrounded by magnificent mountain scenery is close to all that Tahoe has to offer. When you buy a timeshare at Paradise Tahoe you’ll have a unique vacation experience each time you visit. 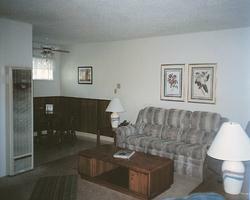 Paradise Tahoe gives special attention to the comfort, privacy and cleanliness of its accommodations. The onsite manager is always there to aid and assist owners and renters. One bedroom suites are spacious and comfortable, while two bedroom suites have enough living space for six to enjoy a fabulous vacation. If you’re the type of vacationer that likes to save money by dining in, the kitchen is totally equipped with everything from oven with stovetop, to cookware and towels. Enjoy the beauty of Tahoe’s springtime on the outside deck. Exceptional amenities include free Wi-Fi, Cable TV, DVD Player, and laundry facilities. For warmer weather, indulge in a little grilling on the barbecue and relax on the patio. Owners appreciate the convenience of onsite ski lockers during ski season. Local transportation options provided rides to dining and entertainment establishments in town. Just a half-mile from Lake Tahoe, all of the great area watersports are just down the road when you buy a Paradise timeshare. Rent a sailboat or powerboat and get out on the water, or just go for a refreshing swim. Golf, tennis, hiking and bike trails are close by as well.